According to Variety and Deadline stories today, another actor has been tapped to take on the role of Robert B. Parker’s Spenser: Mark Whalberg. He’ll be starring in Peter Berg’s movie for Netflix, an adaptation of Wonderland — the second novel Ace Atkins wrote about the Boston sleuth — as the potential first in a series. I’m not Whalberg’s biggest fan, but given the right material, he’s good and he can pull of the physicality needed (and then some, but, whatever). And I have more trust in Peter Berg than most directors (Battleship notwithstanding). And the source material is great. 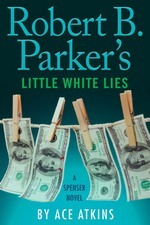 The movie will differ from the novel, in that it begins with Spenser emerging from a prison stretch, stripped of his private investigator license. Here, he gets pulled back into the underbelly of the Boston crime world when he uncovers the truth about a sensational murder and the twisted conspiracy behind it. Stripped of his PI license after a prison stretch???? I know that adaptations have to make changes to the character, that’s the whole point of adapting. But this is striking at the core of the character. Spenser a felon? That’s a deal breaker. That makes almost all the changes in The Dresden Files series seem acceptable. It’s like making Edward a werewolf and Jacob a vampire. Or using an animated tiger in Life of Pi à la Bedknobs and Broomsticks. I’m having trouble here, okay? You can get the gist of what I’m saying. So, I’m happy for the Parker Estate, Ace Atkins and anyone else who made some money off this. I’m happier yet for anyone who discovers Parker/Atkins/Spenser because of this. Wow. The Forty-Sixth Spenser novel. Atkins’ seventh, too — it’s hard to believe. I can still remember some of these as clearly as if I read them yesterday — I’m a little vague on some of them, I have to admit (sorry Bad Business and Painted Ladies), but by and large, this is one of those series that’s defined me as a reader. This is one of those that in years to come that I’m going to remember pretty clearly, too, I’m glad to report. Also, I’m pretty sure that 46 books in, nothing I say here is going to get the series a new reader. Still, I want to talk about it some. So here’s the pitch: Locke, an older P.I. and friend/associate of Spenser, comes to him for help — he’d like Spenser to take over one of his cases, as she’s fighting a losing battle with a medical problem. Twenty years ago, a Boston museum was robbed — two paintings and one Picasso sketch were stolen. The Boston Police, the FBI and he have turned over every rock they can think of, he’s traveled the word just to find them. But he’s gotten no where — but there’s some new information coming to light — and with the statute of limitations about to kick in, there’s probably no better time to find the painting then now. Spenser agree and plunges right into the hunt. Whether you’re Spenser or Nero Wolfe, the worst type of client has to be a committee or board* — a committee that’s not entirely sure they want you to work for them is even worse. The museum committee is led by a classic stuffed shirt, Spenser’s always fun to read when he’s antagonizing the pompous. We’ve also got another Spenser trope — a tough, no-nonsense, hard-to-impress client that Spenser slowly wins over — in the museum director. Putting the two of those together is a good combination. The committee has their own replacement for Locke — an anti-Spenser. British, polished, cultured (he’s probably forgotten more about art than Spenser has ever known), not obviously prone to violence, with an approach to this case that’s very different from Spenser’s. As much as I disliked him, I wish we’d gotten a little more time with him. 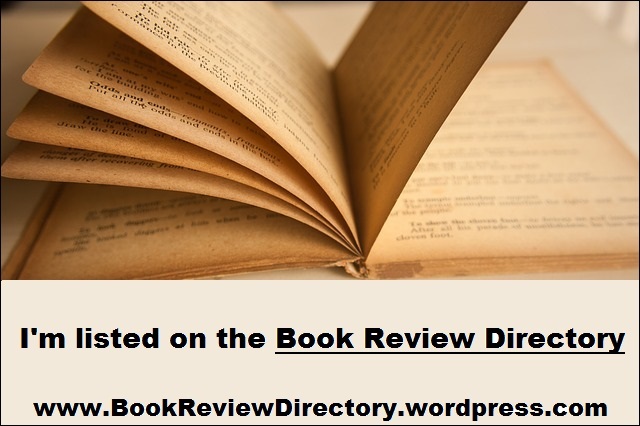 This is a novel largely dependent on the non-regular characters — clients, witnesses, sources, suspects. There’s no Hawk, no Sixkill, limited Susan, not enough Pearl — so who does Spenser talk to? Henry (a little more than usual), Frank, Quirk, and Rita — and a couple of chats with Vinnie Morris. Things are still not good with Vinnie, but there might be room in that direction — and common enemies can help a lot. Given the Gino Fish connection, of course we have to have a lot of Vinnie. Spenser’s approach to this case is classic — he goes around talking to every witness, suspect that he can — annoying some, charming some, learning a very little. Then he moves on to the next and the next, and then circles back to the first. Prying a little more, and a little more. This is a very talk-y book. There’s the threat of violence — and even some actual violence — but most of the actual violence was associated with the original burglars, so we hear about it, but don’t see it. Atkin’s solid take on Parker-dialgoue means that this is a fast, fun read. And that’s fine with me. 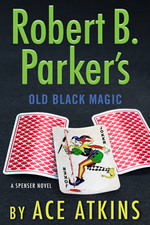 Back when Robert B. Parker was writing multiple series, one of the fun aspects was watching characters from one series (typically the longer-running, Spenser books) show up in one of the others. Watching Capt. Healy’s interactions with Jesse Stone, for example, provided an interesting counter-point to the way Healy and Spenser got along. Now that there are three authors actively writing the Spenser-verse series, there’s an added twist to that. Recently (long enough ago that I don’t feel too bad saying it), Reed Farrel Coleman killed off Gino Fish. There are huge chunks of this book that are little else than seeing the effects of that death in Boston’s criminal society (for lack of a better term). How do we get to Gino Fish? When it comes to Art Crimes — especially higher-end stuff — and the resulting fencing, at that time in Boston everything came through Gino’s fingers. Between the references to the late Gino and the fact that the crime in question took place two decades ago, there’s a lot of history covered here as Spenser talks to various criminals/criminal associates while hunting for these paintings. I do mean a lot of history — going back to events in Mortal Stakes (my first encounter with the series) and characters from The Godwulf Manuscript (the first in the series). Yes, there’s a certain element of this being fan-service-y nostalgia on Atkins part. As a serviced-fan, I’m not complaining. But I think it’s more, it’s the kind of series that Parker and Atkins have given us — one that is very aware of its past and draws on it always. (there’s an interesting contrast to be made with the Jesse Stone series on this front). 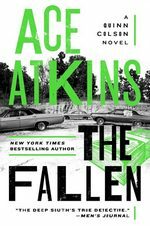 If you’re looking at this as a mystery novel, or focusing on the plot — I’m not sure how successful it is (better than many, but I’m not sure it’s up to Atkins’ typical standards). But, if you look at it as some time with old friends — Spenser primarily, but even Quirk, Belson, Henry, etc. — it gets better, especially if you’ve got as much history with these characters as many readers do. Throw in the atmosphere, the perfect voice, the longer-term character moves, and you’ve got yourself a heckuva read. Spenser #46 is as entertaining as you could ask for and I’m already looking forward to #47. * Yes, it bothers me that I can only come up with two names for this truncated list. I can’t imagine that other P. I.’s are immune to this kind of client, but I can’t think of another example. I’ll probably lose sleep over this memory failure. 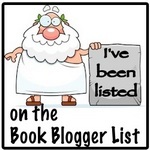 Really, all I want to say about this book is: “Yes! 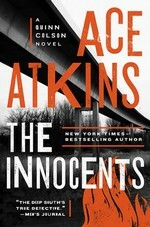 Atkins did it again — it’s just so good, folks. Long-time fans’ll love it, new readers will likely see the appeal of the series. A lot of fun with a great ending!” But that seems a little surface-y and is just bad writing. But really, that’s everything I’ve got to say. Series: Spenser, #45eARC, 320 pg. Pearl and I were off to Central Square . Her long brown ears blew in the wind as we drove along Memorial Drive against the Charles. Rowers rowed, joggers jogged, and bench sitters sat. It was midSeptember and air had turned crisp. The leaves had already started to turn red and gold, shining in Technicolor upon the still water. I debated about what quotation I’d open with — I went with this Parker-esque (and Atkins-esque) description. Little White Lies is one of the better of Atkins run on this series, because (like here) he did something that feels like something Parker would’ve written, but not quite what he’d have said (the more I think about it, the less I think that Parker’d have said “bench sitters sat”). I nodded , adding water to the new coffeemaker sitting atop my file cabinet. I’d recently upgraded from Mr. Coffee to one of those machines that used pre-measured plastic cups. I placed my mug under the filter, clamped down the lid, and returned to my desk. Demonic hissing sounds echoed in my office. Where have you gone, Joe DiMaggio? This is Atkins sixth Spenser novel, and you’d think he’s got enough of a track record that I could stop comparing him to Parker. Well, you’d be wrong — I can’t stop. 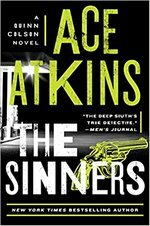 This, like most of Atkins’ work on this series, is so reminiscent of early Parker novels that it makes some of the latter Parkers look more like they were written by a hired gun. Still, I’m going to try to keep it to a minimum because it doesn’t seem fair to keep doing. Susan has sent one of her clients to Spenser for some help that she can’t provide. Connie Kelly had been dating someone she met online, invested in one of his real estate deals — and he vanished, taking the money with him. Could Spenser track him down and get her cash back? Sure, he says. It doesn’t take long for the investigation to show that he owes plenty of people money — a couple of months rent here, hundreds of thousands of dollar there. Here’s the fun part: M. Brooks Welles, the deadbeat in question, is a silver-haired, silver-tongued mainstay on cable news. He’s former CIA, and an expert on military and national security issues — one of those that producers call on regularly when they need a talking head. Why’s a guy like that flaking out on real estate deals? Spenser knows something fishier than expected is going on — which takes him into a world of mercenaries, gun deals, and the ATF. Then someone tries to kill him. A couple of times. And the book stops feeling like a semi-light adventure, poking fun at the blowhards on cable TV and the state of American Journalism, and how we shouldn’t trust as many people who have cameras pointed at them as we do. Things take on a different tone, bodies start piling up, and a darkness slips in to the book. This also brings in Belson and his new boss — who’s still not a fan of Spenser. About the same time, Connie starts to waver in her conviction that she wants her money back and Welles punished. Spenser, naturally, doesn’t care and plows ahead. Hawk is able to connect Spenser with some mercenaries that travel in the same circles as Welles and the chase is on. Eventually, the action moves from Boston and its environs to Georgia. Which means that Teddy Sapp is going to make an appearance. All the characters were great — I would’ve liked some more time with some of Welles’ co-conspirators in Boston, I think it’d have helped round out our picture of his crimes. But it’s a minor complaint. We also got plenty of interaction with his Georgia-based colleagues. Even the characters that show up for a page or two as witnesses to the crimes were interesting — it’s the little things like those that add so much. It was nice to see Teddy Sapp again, too. He was the best part of Hugger Mugger (faint praise, I realize). The Hawk material was very good — maybe Atkins’ best use of the character yet. I fully expect that people are going to spend a lot of time talking about the ending — it didn’t feel like a Parker ending. That said, it felt like an ending that pre-A Catskill Eagle Parker might have tried. It was satisfying, don’t misunderstand, it’s just not the kind of ending that Parker employed. Honestly, there were two other perfectly acceptable places to end the book — and if not for the progress bar at the bottom of my screen, I might have believed that thee ending was earlier and equally strong. Now, because Atkins and the Parker estate aren’t stupid, there are certain characters that you just know are safe, no matter what shenanigans that they’ve let Atkins and Coleman get away with when it comes to killing off long-term supporting characters. But there was a definite feeling of peril when it comes to [name redacted] and [name redacted]. Sure I knew they’d live to be read about another day, but I wondered how healthy they’d be in the meantime. I returned with sore legs back to my seat on the steps. I spent the next fifteen minutes watching women of all ages, sizes, and colors walk past me. I liked the way most women walked. I liked the way they dressed. And talked and smelled. I was pretty damn sure I was a fan of women in general. Did this make me a sexist or a feminist? Or somewhere in between.